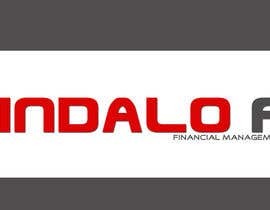 Looking for a logo designer to design the logo of our new online start-up that will offer financial managing services. Please don't forget to take a look at #463 & #464 , both being the last updates I did following your requests. giusepponi, thats because its the original pointy man from 1990. Please check #494 #521 and my other options before picking a winner !! Sir, please make sure you check all new entries before making the decision. I see that many unrated entries look better than some of highly rated ones here. Hi, for entries #555 - #557 , I used a slanted version of the indalo figure. The letters are also slanted. 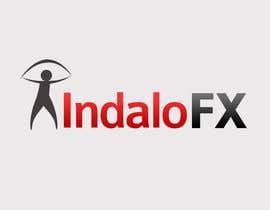 For #555 - #556 , the word FOREX wraps around the O of INDALO. For #557 , the word FX is horizontal. Hi, for entries #552 , #553 , #554 , I created a dynamic version of the indalo figure. I removed the leg portion and slanted the upper portion. 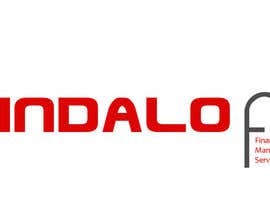 The logo covers the top of the word indalo. 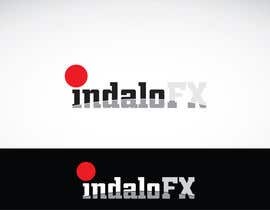 For #552 , the FX is slanted vertically and is covered by the indalo logo. 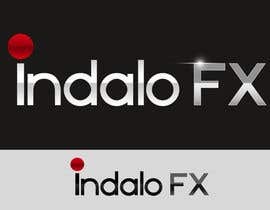 For #553 , the FX is horizontal and is not covered by the indalo logo. 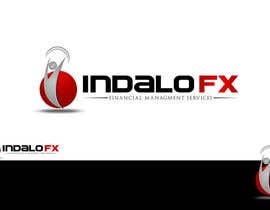 For #554 , the FOREX word wraps around the O of INDALO. 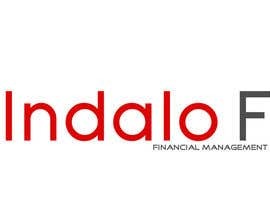 Hi, for entries #546 - #551 , I tweaked the indalo figure and used it to replace the O of the INDALO name.. I replaced the horizontal bar and legs with a semi-circular u-shaped portion of a doughnut-shape that wraps around the bottom of the red circle. For the top part, I used the remaining upper portion of the doughnut with a break in between the upper and lower portions. I made upright and slanted versions using FX and FOREX. 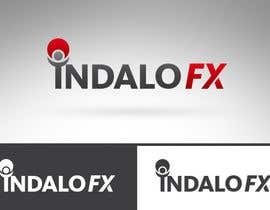 For the FOREX versions, I used a straight layout and a layout which wraps around the right side of the O of INDALO. Hi, for entries #537 - #545 , I tweaked the indalo figure and separated it from the indalo name.. I replaced the horizontal bar and legs with a semi-circular u-shaped portion of a doughnut-shape that wraps around the bottom of the red circle. For the top part, I used the remaining upper portion of the doughnut with a break in between the upper and lower portions. 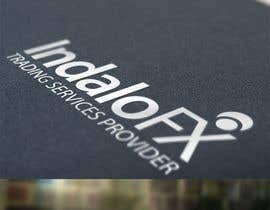 I made upright and slanted versions using FX and FOREX. 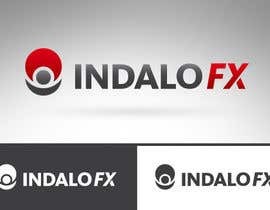 For the FOREX versions, I used a straight layout and a layout which wraps around the right side of the O of INDALO. 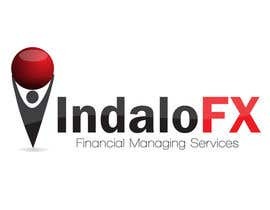 ...In #535 , more technical for a finacial operator, the indalo has a forex chart as the magical rainbow and the X that as 4 arrows to invoke the concept of exchange. Look also at the demo taglines we inserted in the logos, to take inspiration for you campaign. P.S. the monochromatic version is to test the logo, it' important that you test how it render in monochrome for various uses it's also important to test it scaled down. If you request we can do little changes to the design before sending to you the vectorial. Sir please give a glance at #534 , #535 and #536 . Both are compact, balanced, and not too "over the top" due to the symmetry and geometricity of the design. The font is a little bit oriental but modern. In #534 the indalo arm goes through to the "d" forming a squared figure that communicates stability, reliability, and technical competence. The X as an upper arrow meaning growth and optimism (as you know indalo also is a positive divinity, a protector). What about #529 , #530 , #531 ? Hi there! Check PMB for the updates, please. pls check #478 and #479 thanks. Please check #474 . Feedback Appreciated. Also plz check #475 #476 . Few iterations. If you haven't rated a design,does that mean "...naaaahh..." or you haven't seen it yet?